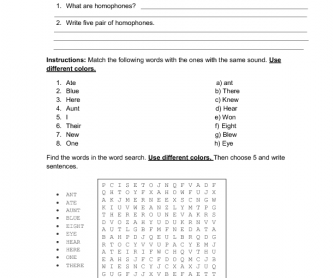 This worksheet will help you review the most common homophones. It could be good for a G3 or G4 student. 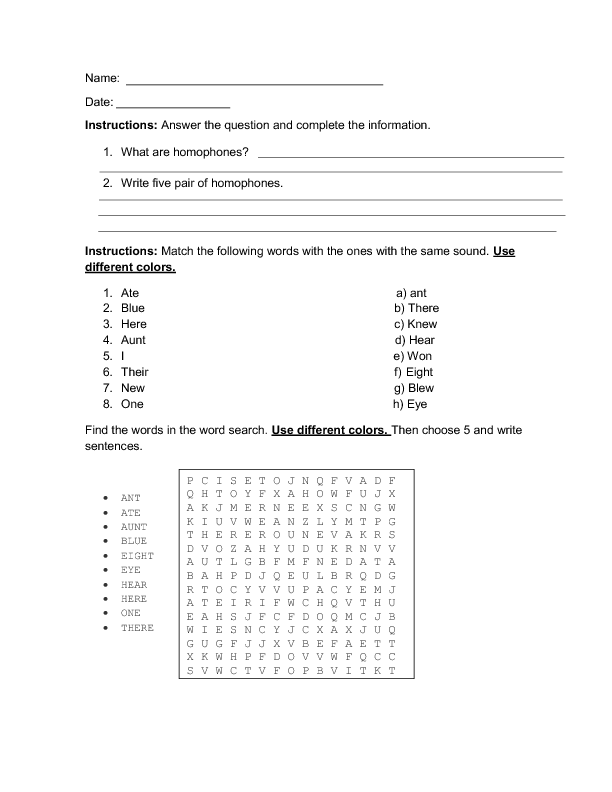 It includes a word search, matching activity, and two questions that will help you reinfoce the topic in class. It could be given for homework too. Hope you find it useful.